Change Agent Speaks About Self Care | ZiaPartners, Inc.
Keris Myrick, MS, MBA, PhDc, is President and CEO of Project Return Peer Support Network. She has over 20 years experience in higher education administration and mental health program and organizational consultation and administration. Keris’ work on training components for peer-run programs includes an emphasis on peer advocates and facilitators. She is a national trainer and presenter for the National Alliance on Mental Illness (NAMI) education programs. 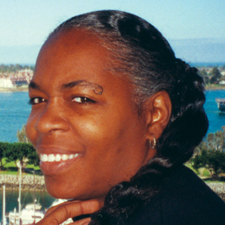 Keris has been a board member for NAMI-California and is currently the First Vice President for the NAMI National Board. She serves as a systems leadership team representative in the Los Angeles County Department of Mental Health planning processes. She was a SAMHSA CMHS 2009 World Federation for Mental Health Congress scholarship recipient, and a recent invited guest to the White House to attend President Obamaís event commemorating the 20th anniversary of the Americans with Disabilities Act. Keris Myrick was featured in the New York Times in October 2011. Keris was at the UnConvention the day the article came out. We were all proud to have her there on this day. See the links below for Keris’ beautiful message. Link to New York Times article. Link to New York Times video. This entry was posted in Change Agents, Peer Support and tagged Behavioral Health, Change Agent, Keris Myrick, NAMI, New York Times, Peers. Bookmark the permalink.